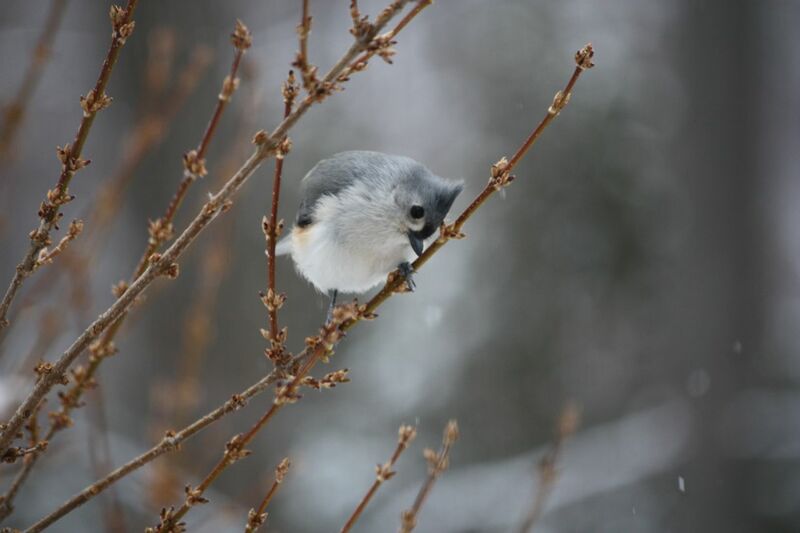 What is it that makes Tufted Titmice so stinkin’ cute? This one is eyeing a peanut on the deck. You can almost see the wheels turning in his head. A blizzard has struck the northeast. We are predicted to get 12 inches of snow. I did not go to work, so I sat snug and dry in my garage taking pictures of my local backyard flock hustling for food. Garages make great DRY bird blinds.